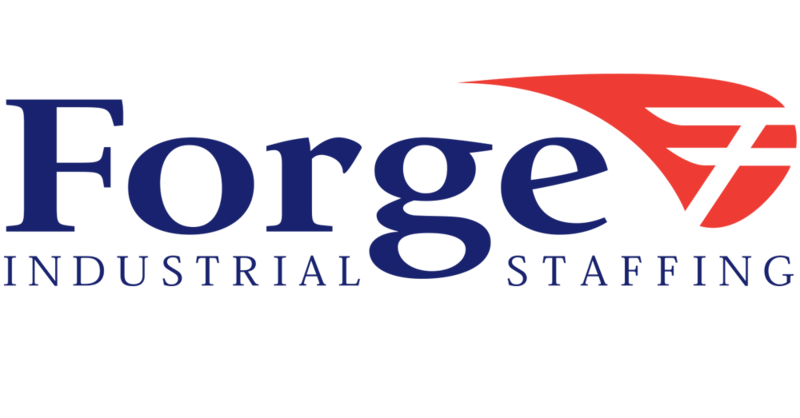 Forge Industrial Staffing is an industry leader in providing light industrial workers to a diverse roster of businesses. Our clients include many major employers within the automotive, food packaging, and greenhouse industries. Since we work with many clients across different industries, the range of skills required for our positions are as varied as the jobs themselves. Whatever your personal experience is, Forge can help you find the job that you want! Shifts Forge shift times vary by client however we usually have positions to fit every schedule. Produces components by assembling parts. Positions parts and subassemblies by using templates. And other various job responsibilities. Loading and unloading goods from vehicles such as trucks or aircraft. Stacking goods in the correct storage bays, following inventory control instructions. Performing daily equipment checks such as recharging the truck’s battery and lubricating equipment. Removing machine attachments and waste material from machines. Receive objects or parts as they come down the assembly line (conveyer belt). Use any hand-held tools that are necessary. Pass your assembled product on to the next team member so they can complete their duties. Perform machine setups (calibration, cleaning etc.) to start a production cycle. Control and adjust the functions and settings of machines (e.g. speed). Feed the necessary raw material or parts to semi-automated machines. Inspect parts with precision and measuring tools to ensure they meet requirements. Test the operation of machines periodically to guarantee their smooth running. Check output to discover any machine-related mistakes or flaws. Keep records of approved and defective units or final products. Clean debris and dust from the assigned areas. Use specialized equipment to perform cleaning duties. Perform both major and minor repair work around the building. Replace broken windows and door locks. Take measures to perform maintenance on equipment and tools. Perform general maintenance on sanitary and mechanical systems of buildings. Collect waste and ensure proper waste management procedures are carried out. Assist with construction or remodeling projects. Move furniture and equipment upon instruction. Maintain the overall condition of the building and grounds. Maintains production and distribution of product by pulling orders from inventory; delivering production materials and supplies; staging finished product. Prepares finished stock for shipment by identifying, pulling, packing, crating, loading, and securing product. Shipping and receiving, pick products from warehouse stocks. Ensure that all received products are accounted for, and stocked in the most efficient picking location, and within the company’s allocated stocking timeframe. Verify items included on packing slips prior to packing for shipment and alert shipping manager to any potential issues. Maintain clean shipping workstations and warehouse space. Maintains a clean, safe work environment and upholds the company’s productivity and safety standards. Maintains safe and clean work environment by keeping shelves, pallet area, and workstations neat; maintaining clean shipping supply area; complying with procedures, rules, and regulations. Lays out, positions, and secures parts and assemblies according to specifications. Tack-welds or welds components and assemblies, using welding equipment. Forge employees have the opportunity to showcase their skills to some of the top companies in the area, allowing each side the chance to determine whether there is a good long-term fit. We have numerous positions that are designed to grow into regular, full-time positions with our clients and feature a competitive salary structure. In many cases, companies will only hire people after they have spent time working at their location through Forge. Immediately upon starting an assignment with Forge, employees are eligible for a generous benefits package. Coverage includes medical, dental, vision, short-term disability and life insurance. Most of our clients include temporary employees in their safety and production incentive programs. No matter where you are in your job search, whether you’re just starting out, have a very specific set of skills to offer or you’re just looking for a better opportunity – Forge Industrial Staffing has positions to meet every need! If you have not yet applied with Forge, take the opportunity to do so online or at one of our conveniently located local offices. We’re ready and waiting to help you find the perfect job!